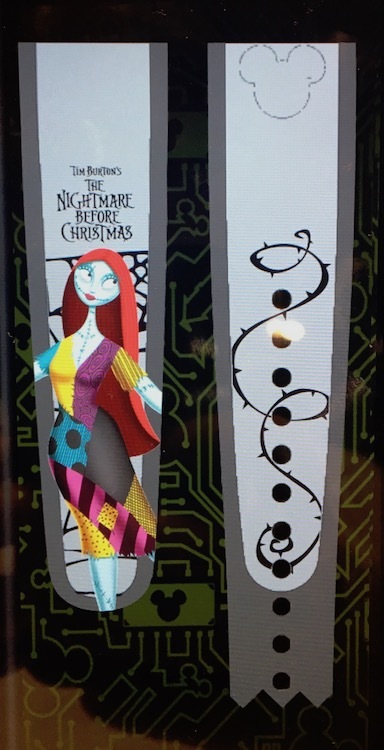 At MagicBand On Demand stations in Walt Disney World, a few new holiday themed designs have appeared as of November 2nd, 2016. I found these in Disney Springs at the Co-Op Marketplace. One is Christmas Star Wars and the other is similar to a dreidel design. 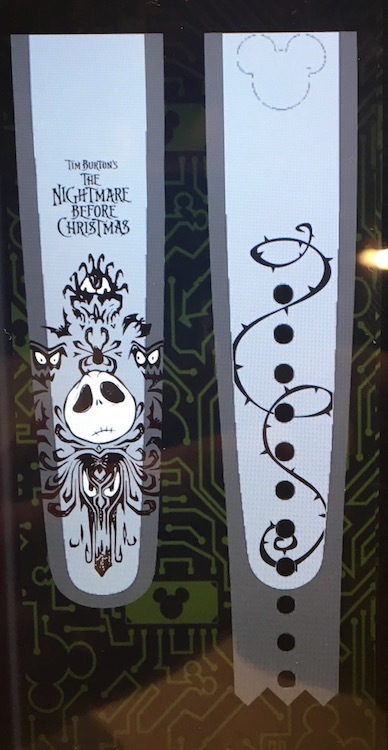 The others are from The Nightmare Before Christmas. If anyone sees more designs added, please send me an e-mail so I can add them to the site. 6 Responses to "UPDATED: Five holiday themed MagicBand On Demand bands appear"
I am not Jewish, but I think ‘Hanukkah’ is the word you need. Where did I imply that the dreidel was for Christmas? I only said “Christmas Star Wars” and “holiday themed” MagicBands. 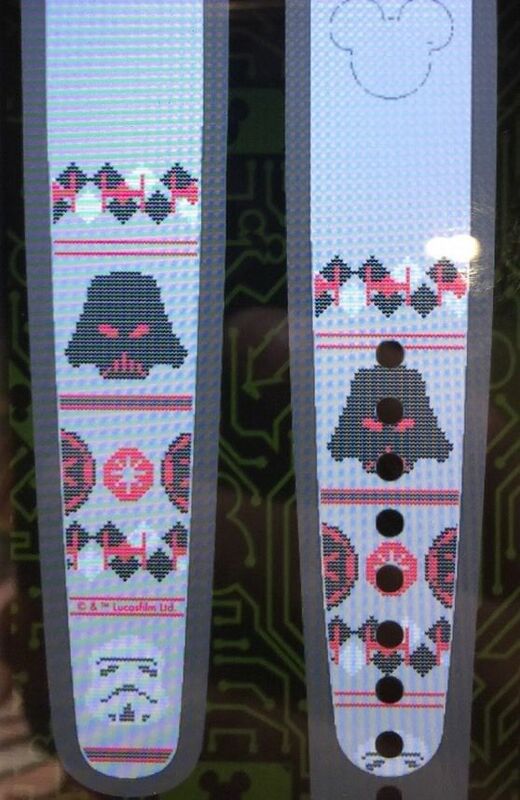 In fact, you said “holiday themed,” BUT the line that said “One is Christmas Star Wars and the other is similar to a dreidel design” made me snicker so I shared. 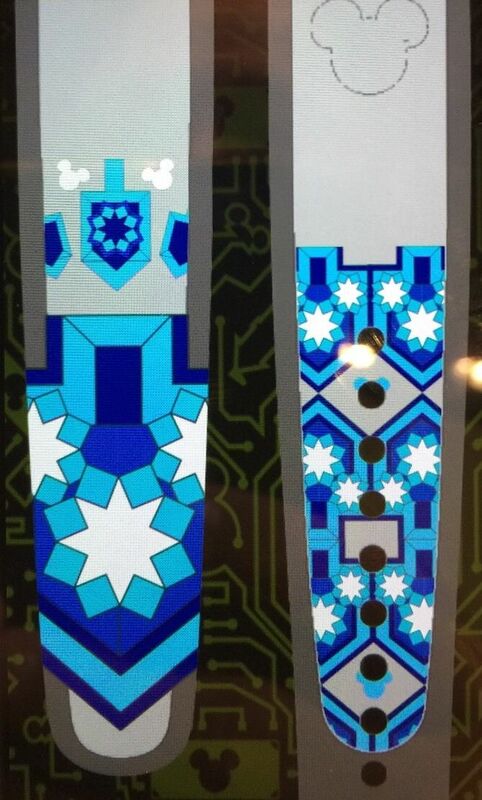 –Both are holiday designs – one being a ‘Hanukkah’ dreidel design and the other a ‘Christmas’ Star Wars pattern. 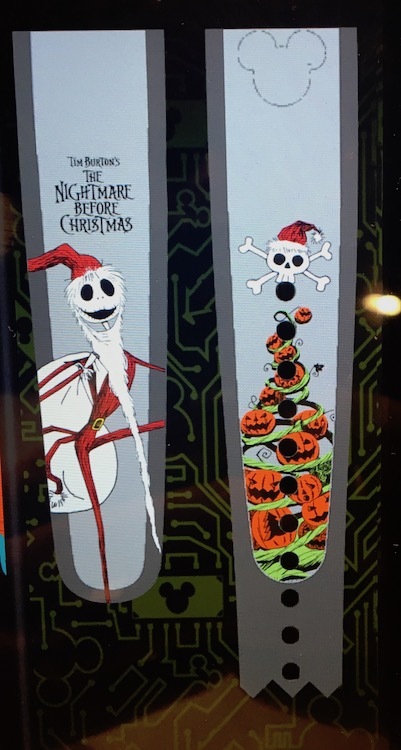 OR since Christmas was listed first in the sentence, it could be interpreted as 2 Christmas designs (2 Christmas would still both be Holiday themed). One is Christmas Star Wars and the other is similar to a (Hanukkah) dreidel design. What? Huh? I know everyone is entitled to their own opionion but sometimes. Things are taken out of reason and proportion. So many words just to explain what was supposed to be a simple joke. Punchline: Wow! There really is a Christmas dreidel. Who knew making a quick joke initially would end up being so verbose. Well I take that back. Apparently there is a Christmas dreidel. ? “DON’T CHOOSE BETWEEN CHRISTMAS AND HANUKKAHCHOOSE CHRISMUKKAH!